Single Color LED Module - Square Sign Module w/ 3 SMD LEDs: Shown Installed In Green In Center Sign Module. LBM-x3SMD series High Power LED Module String: Back View. 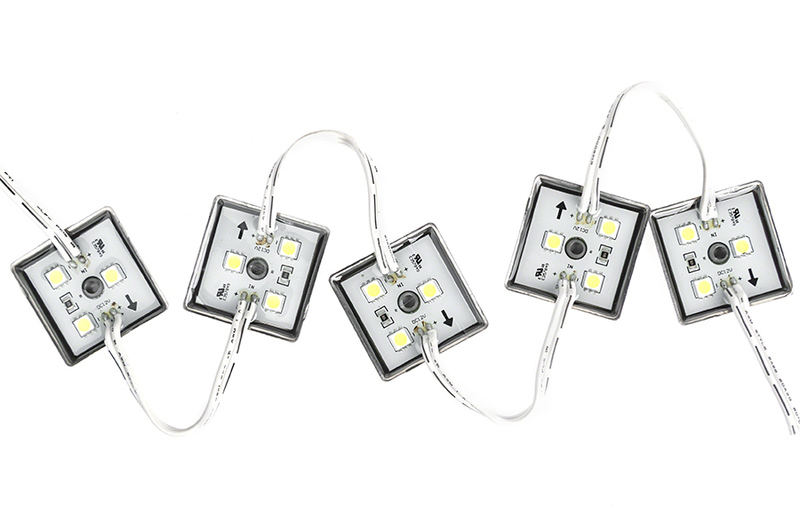 LBM-x3SMD series High Power LED Module String: Showing A String Of Modules. 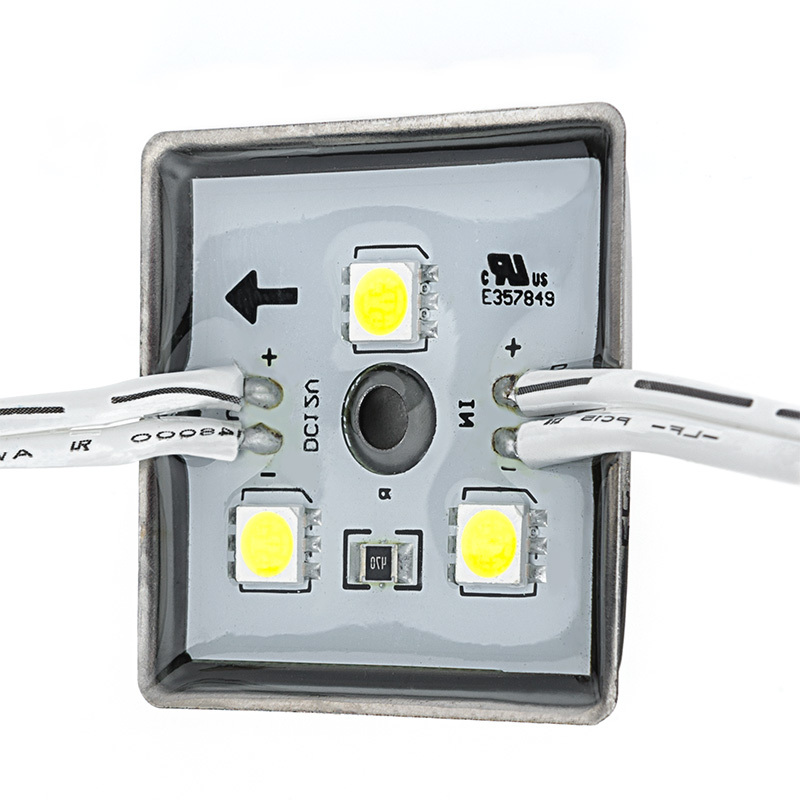 LBM-x3SMD series High Power LED Module String: Installed In Sign Letter And On Showing Beam Pattern In Red, Amber, Green, Blue, UV, WW,NW, And Cool White. 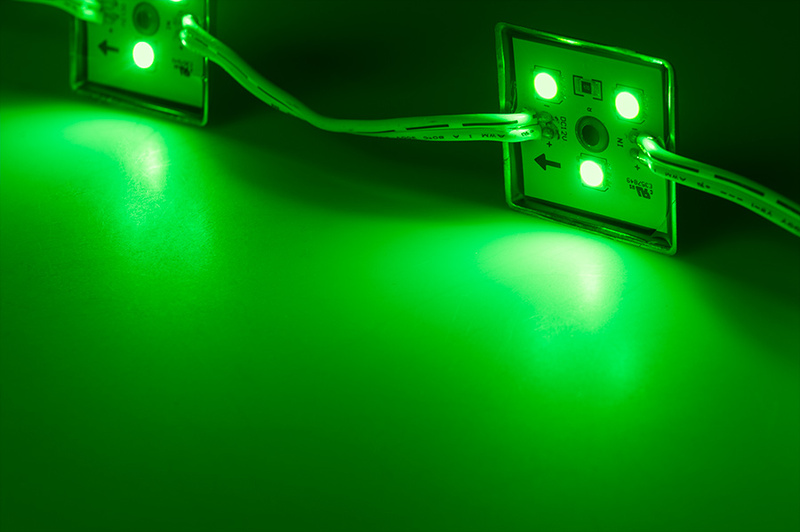 LBM-x3SMD series High Power LED Module String: On Showing Beam Pattern In Red, Amber, Green, Blue, UV, WW,NW, And Cool White. 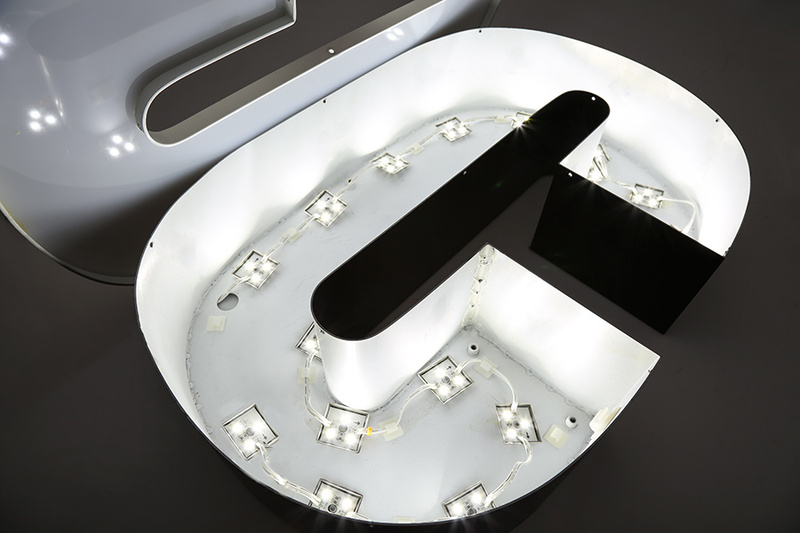 Single Color LED Module - Square Sign Module w/ 3 SMD LEDs: Shown Installed In Sign Letter Module In Natural White. 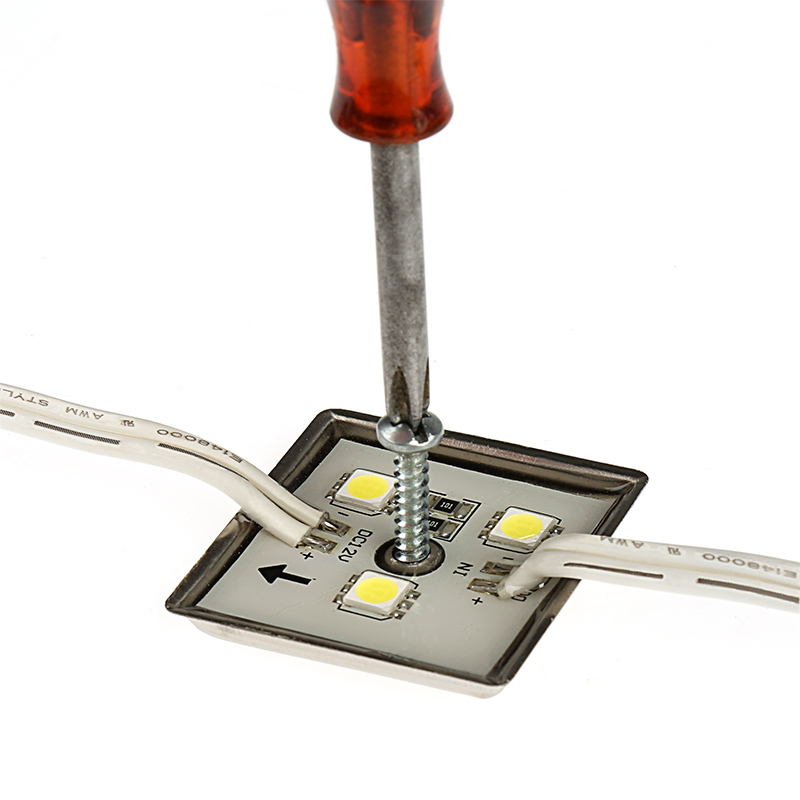 LBM-x3SMD series High Power LED Module String: Shown Installed Inside Sign Letter Modules. 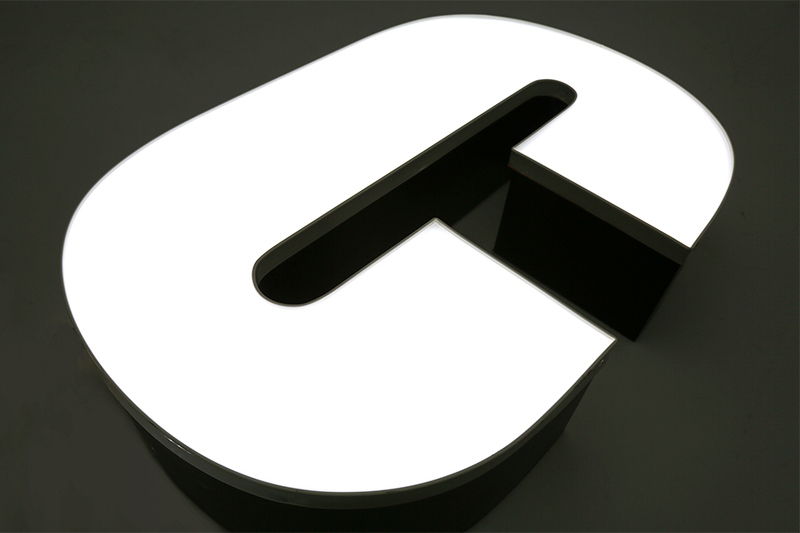 Also Shown Back Lighting Sign Letter Modules In White. 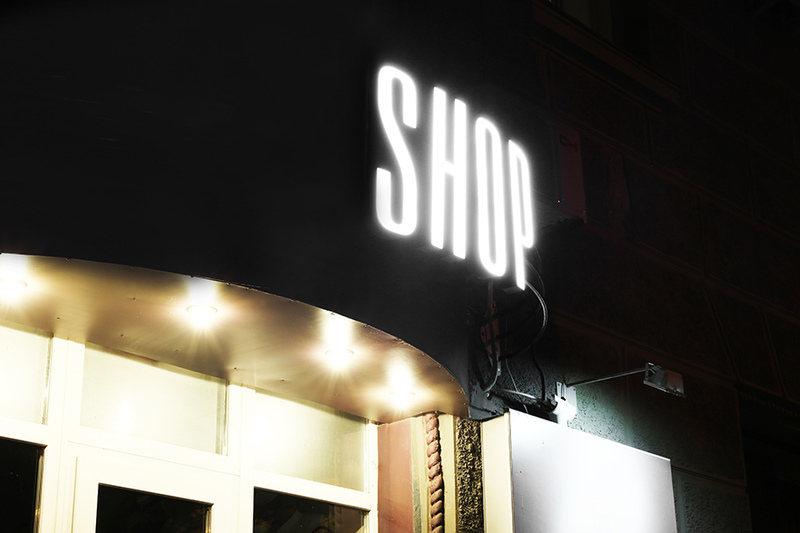 Single Color LED Module - Linear Sign Module w/ 3 SMD LEDs: Shown Illuminating Sign. 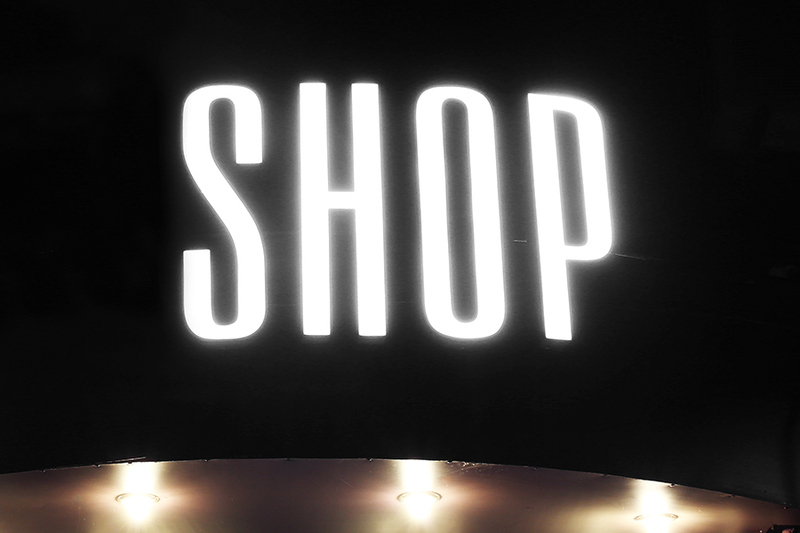 Single Color LED Module - Linear Sign Module w/ 3 SMD LEDs: Shown Installed In Sign Letters. 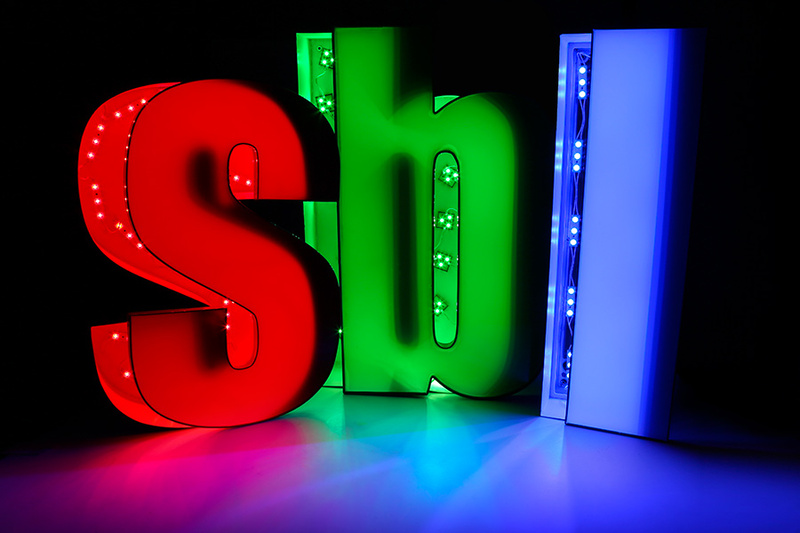 Single Color LED Module - Linear Sign Module w/ 3 SMD LEDs: Shown Illuminating Sign Letters. 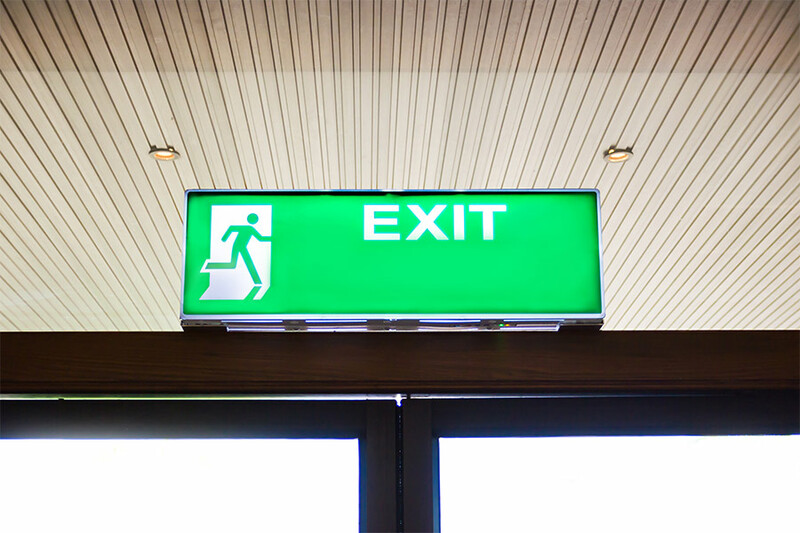 Single Color LED Module - Linear Sign Module w/ 3 SMD LEDs: Shown Illuminating Exit Sign. Single Color LED Module - Linear Sign Module w/ 3 SMD LEDs: Shown Installed In Sign. 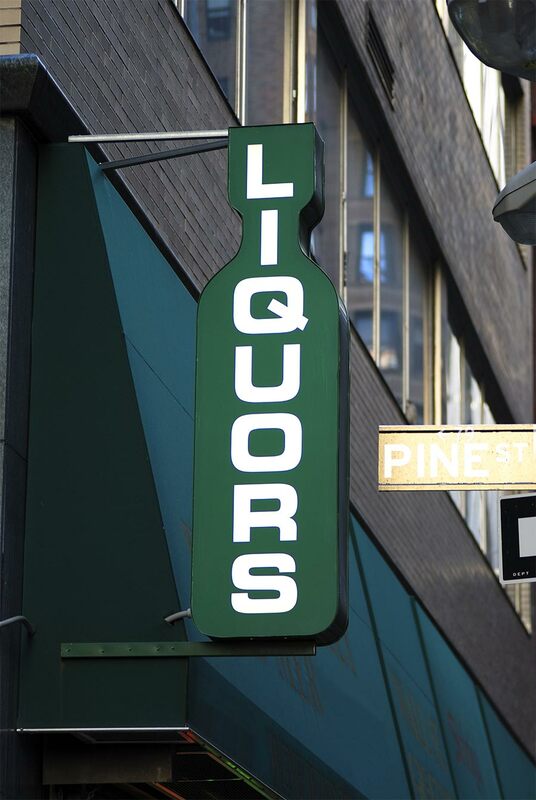 These single-color LED light modules provide consistent illumination for channel letters, sign lighting, under-cabinet lighting, store window lighting, display case lighting, and more! Modules are available in 25 packs or as singles that are stranded together upon purchase. 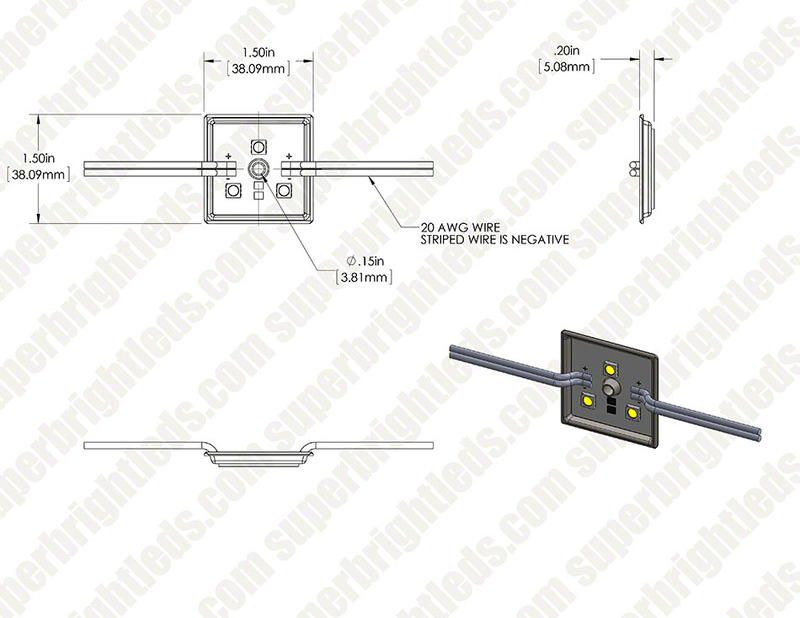 Strands are wired together with 3.30" spacing between each module (up to 25 modules per strand). The 20-gauge wire is polarity sensitive; black striped wire is negative and white wire is positive. 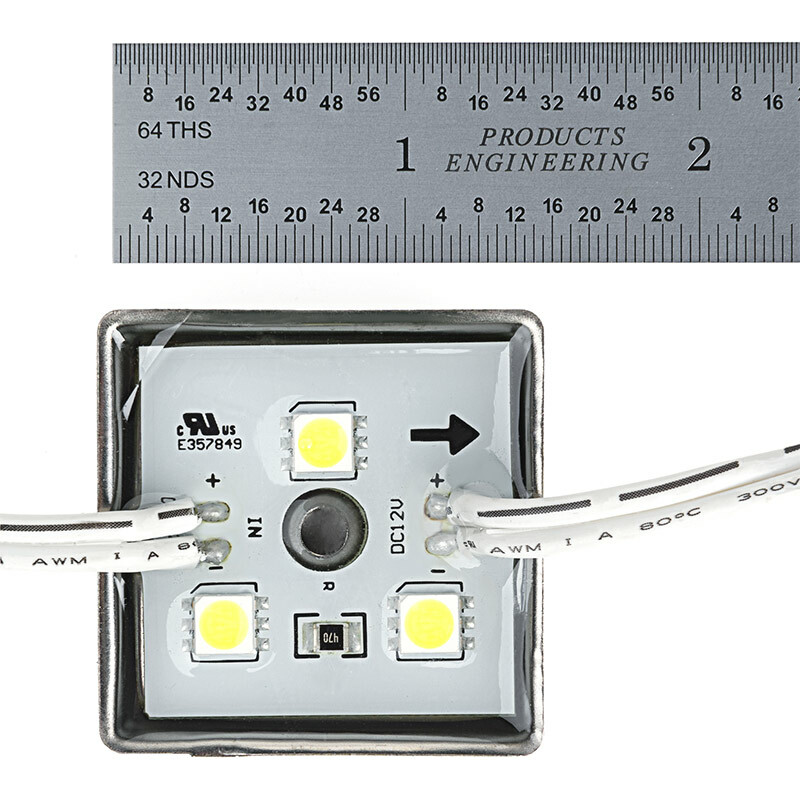 Each LED module has 3 LEDs and emits up to 59 lumens. 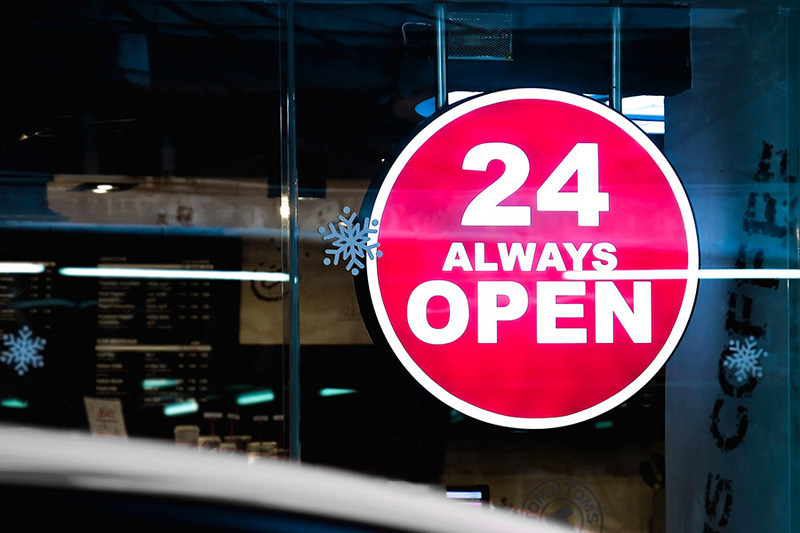 LEDs emit a wide 140° beam pattern that is best suited for illuminating up to 14" wide channel letters that are as shallow as 3". 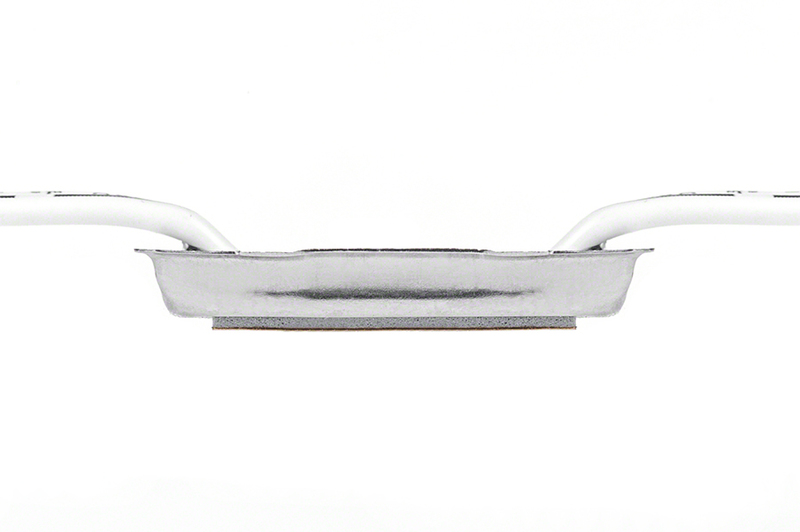 The low-profile module is made of stainless steel with a 0.15" screw hole for mounting in extreme cold or heat. 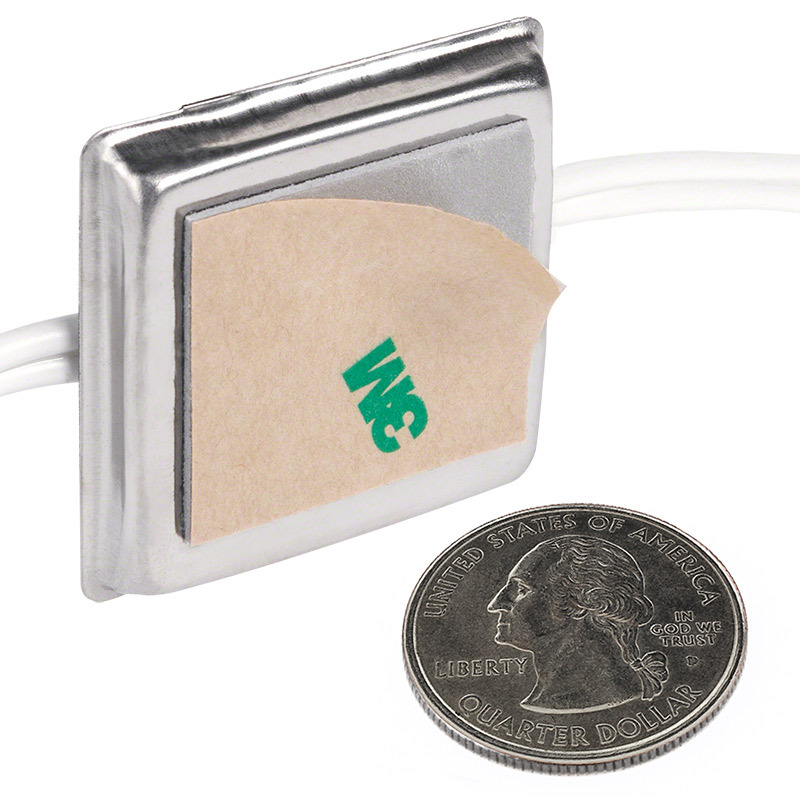 Double-sided 3M adhesive foam tape is also included for secure mounting. The waterproof module has 12V DC operation and is designed to last 30,000 hours. Available in cool white, natural white, warm white, blue, green, amber, and red. This LED pad is a great small light unit built for fast simple installation. Excellent to light kitchen cabinets and walkways and even motor vehicle applications. I like these so much I'm purchasing a few more just to play with. FYI I did use these for lighting my countertop. Looking to wire under my '10 Tacoma for vehicle clearance ground lighting. 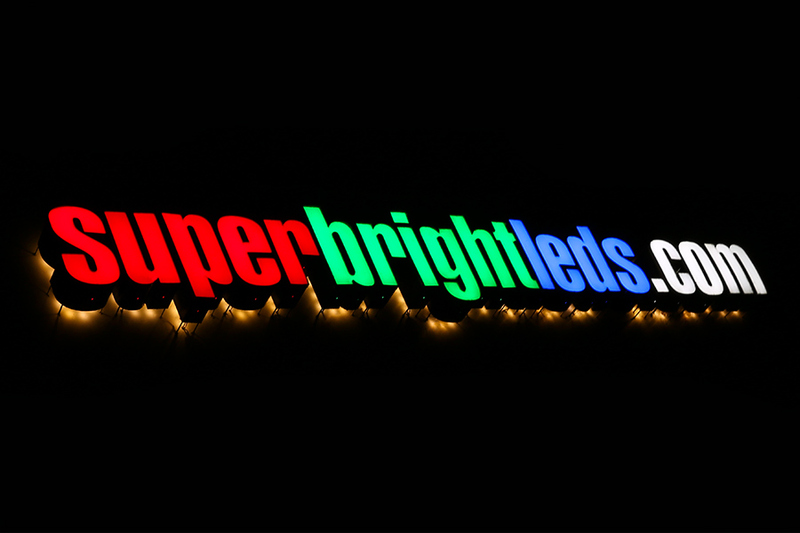 Great Price and Very Bright! I bought 4 of these lights to put in the wheel wells of my truck and my am I pleased with them. Installation is easy, they come with 3M tape on the back, but I put a self tapping screw through the middle to be extra careful. They are bright for the size that they are and they are easily hidden. My only complaint is that the wire comes out from the side of the light which makes hiding the wires pretty much impossible. I would definitely recommend these to anyone. 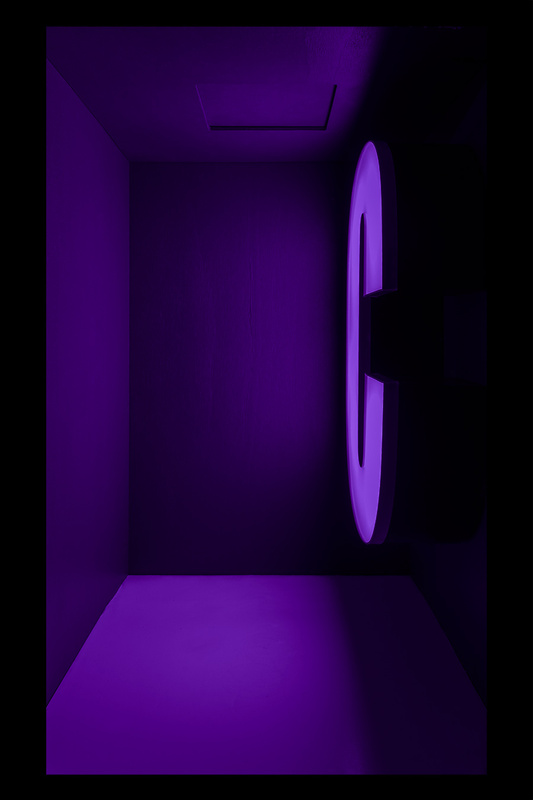 Easy to work with great volume of light for such a small unit. I got this product a few days ago and its amazing. Its brighter than it looks. It also works well with only 9 volts! Perfect for DC lighting. The low operating voltage and high lumen output make this little guy the best solution Iv'e found so far. The module doesn't get hot and can bus, which makes it a perfect solution for dc lighting needs. Very bright, cost effective, and versatile module. 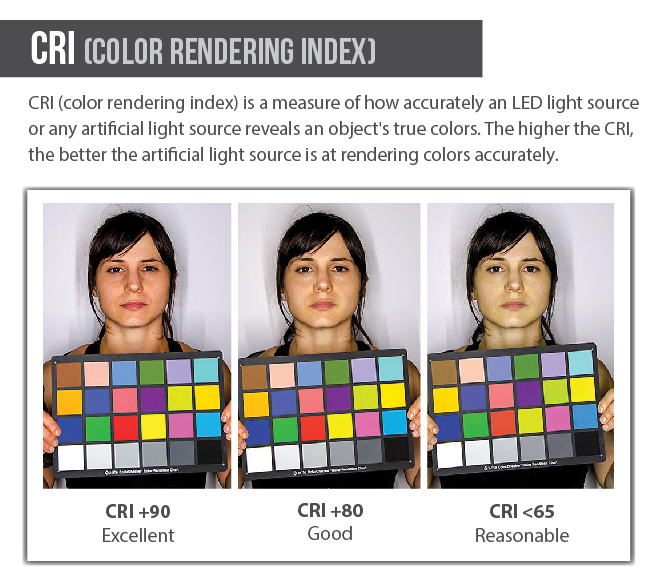 Highly recommended for energy savings and "green" lighting solutions.